An Appeal to Reason was written with the layperson, that is, the non-science person in mind. It specifically targets those young Christians in the senior high and college level who are constantly bombarded with evolutionary propaganda. This book will bolster one's faith in the integrity and truth of God's word as it relates to the topic of origins. "Jim Gibson has combined scientific data with sound biblical truth in a way seldom seen in today's media. This book is readable, engaging, and a good resource... 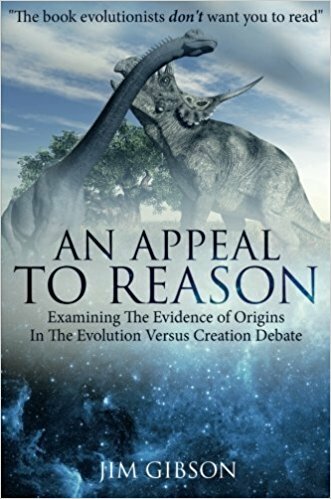 Anyone seeking a reasonable approach to choose creation over evolution will be blessed by this book."